When you are looking to purchase a carport, there are many options available to customize your structure. Do you need an A-frame or a lean to carport? Would you like a standard frame or welded trusses? Do you want gabled ends or sides with frame outs? Knowing exactly what you need can be daunting, so let’s deconstruct a carport to help you decide. First, let’s discuss the parts of the carport, this will help when you are reading product descriptions or referencing the manual when constructing your own. Most commonly, carports are constructed with metal roofs, but there are other options including plastic and wood. Depending on what the carport’s intended use is and where you live influences the optimal material for you. Things to consider when selecting the fabric of your carport is the weather where you live, how long you would like your carport to last, your budget, and if you intend to ever move it. is lightweight and stable. Aluminum is the most commonly used material for carports because it is strong and durable, but relatively inexpensive. It can provide shelter from heat, winds, and rain. is a lightweight, heavy-duty plastic. Polyethylene is cheaper to produce than aluminum or steel, making it the most economical option. However, it is not as strong or durable as its metal counterparts, so is only ideal for environments that are relatively mild in weather. This would be the easiest structure to move. is the heaviest and most durable material used to make carports. Slightly more expensive than aluminum, it offers maximum protection for what is held within its walls. Steel is the material of choice for extreme weather, especially windy environments. is heavy and strong, and the most natural of all the building materials. Wood is not typically recommended for carports and, if used, must have supplemental material for the roof. Wood does not hold up to the elements as well as other materials and must be replaced more frequently. Wooden carports are also not very portable, making them a permanent fixture. Selecting the material used to construct your carport is generally guided by the elements it must withstand. In addition to the fabric, other options include shape, design, and features. Things to consider when selecting these options are where the carport will be installed, what it will be protecting, and, again, the weather where it is to be built. – rounded corners with horizontal panels. The standard style is the “classic” carport roof and the basic model. This option typically does not allow for the gable finish. – A-frame design with horizontal panels. The box eave style takes on the look of a residential home’s roof. – similar to the box eave style, the vertical style is A-framed. The difference is the panels are installed vertically, allowing snow and rain to easily run-off. Because the panels run horizontally, hat channels must be installed, which only helps to make the structure more solid. carports attach to a structure, such as your home, detached garage, or larger carport. Lean to carports lack a side wall, where the structure is attached to something else. These are ideal for smaller carports or adding on to existing structures. are stand-alone structures ranging in size and style. The basic style is a roof mounted to legs and a base. Half walls (typically 3’) or full walls may be installed on one to all sides. 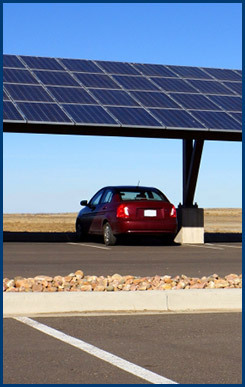 These vary in dimension to accommodate any vehicle, including special RV carports. are fully enclosed carports with garage doors. Options include one or two car, or custom made garages. Most carport dealers offer a combination of structures such as a carport attached to a detached garage or lean to carport attached to an enclosed storage space. 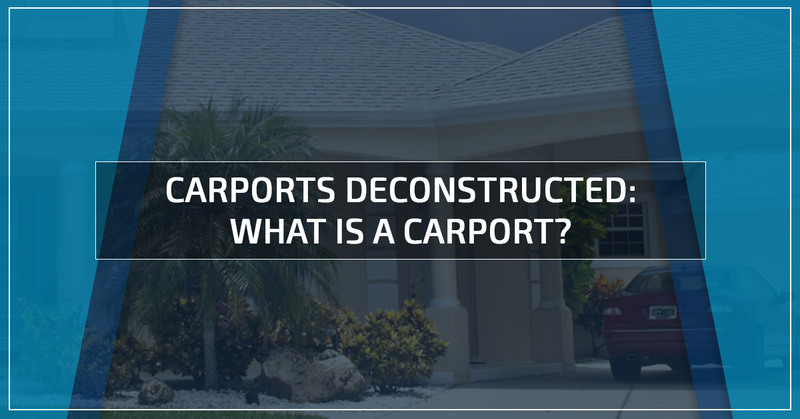 Now that you know all about carports and the options, you can make a well-informed decision when purchasing your own. Before beginning shopping, it is a good idea to have a budget in mind and a general idea of features you would like. You may also want to think about color and dimensions, being mindful that your carport should exceed the dimensions of what is meant to be stored inside it! You’ve invested in what you intend to store in your carport, make sure the same effort is put into the structure that will house it!